V-Strom Modifications and Performance The brag page, good and bad. 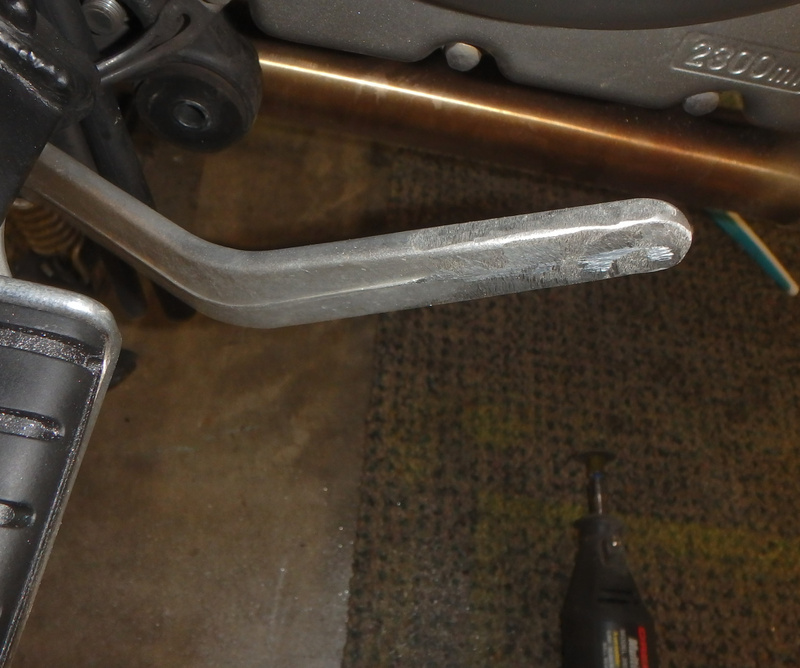 I performed this same "graft" onto my little CB500X a few years ago. Fortunately, it was never put to the test (i.e. I never laid the bike down to test if it folded out of the way). Installed on my WeeStrom today. The folding tip comes in different colors......look for them on Ebay and Rocky Mtn ATV......about $20........cheap mod. 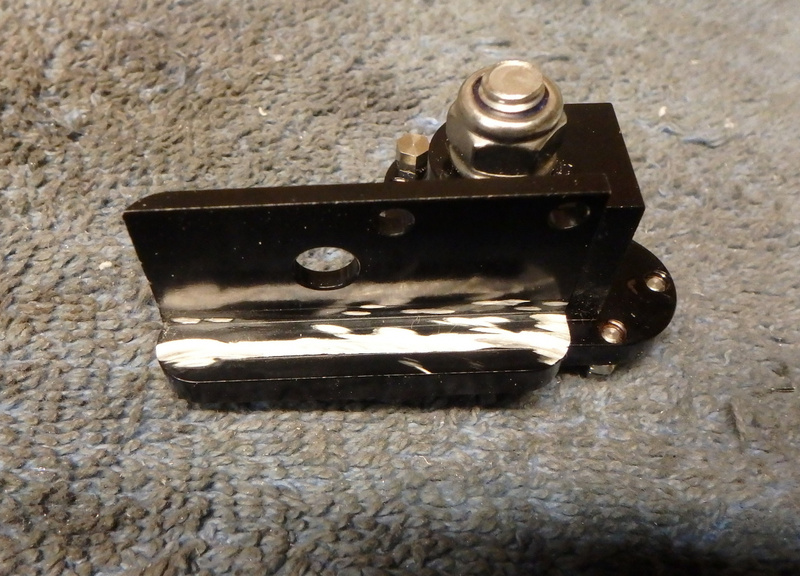 (I have the $30 Studebaker folding gearshift pedal on the other side). Last edited by mark444; 04-06-2019 at 08:22 PM. It is not easy to do on a strom but I also fit what has become known as a brake snake. 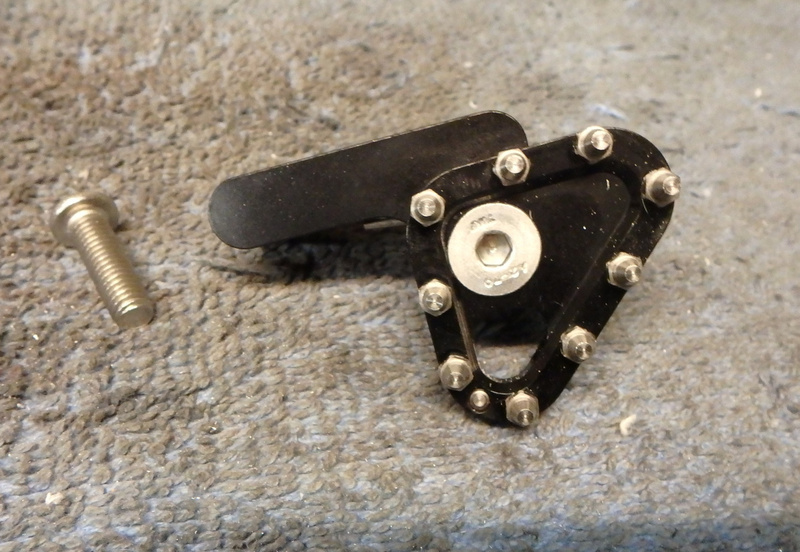 My dad built them for all my dirt bikes when I was growing up, he used old brake inner cable and electrical connectors to loop around the frame, the wire stops the brake or gear leaver being bent right back ensuring the ride is not spoilt with a unusable leaver. I know that one time that I dumped my Wee the brake snake saved my brake leaver enough that I could continue. YZ250N smoker with rego, Stinky. Yamaha MT09 (FZ09), The Scud missile. Club Lead not Club Med. He with the most toys wins. Out of my depth in a puddle. Live life on the edge you will see more that way. Ridding a motorcycle keeps things in balance. At the end of each trail and at the end of each day history is made. Funny you mention that, Rolex. The folding tip I purchased actually CAME with a cable (brake snake? 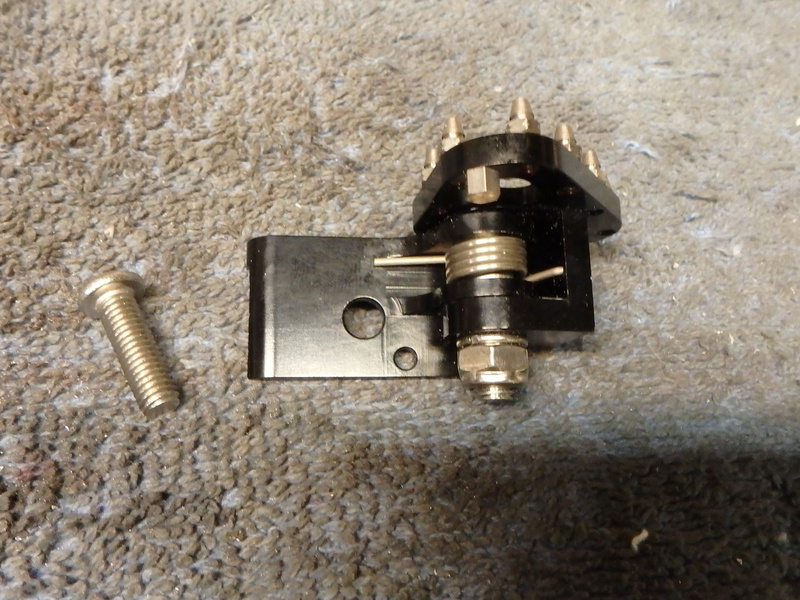 ), bracket (to use at an engine bolt location), and cable crimp, so one could add this along with the folding tip. Can you post up some pics of this? I think I know what he's talking about. It's a cable running from the brake pedal to somewhere on bike frame. I was under the impression they were mostly to keep brush from getting wedged between engine and lever, when riding in rough stuff. Dunno if such a cable would keep the lever from getting bent back in a slide, but it couldn't hurt. 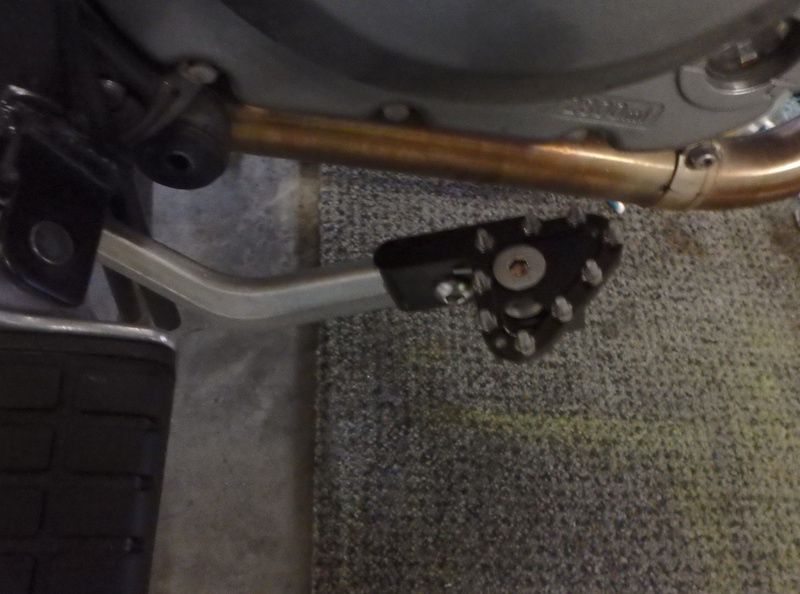 I could tie the forward end to my crash bars or skid plate, probably. 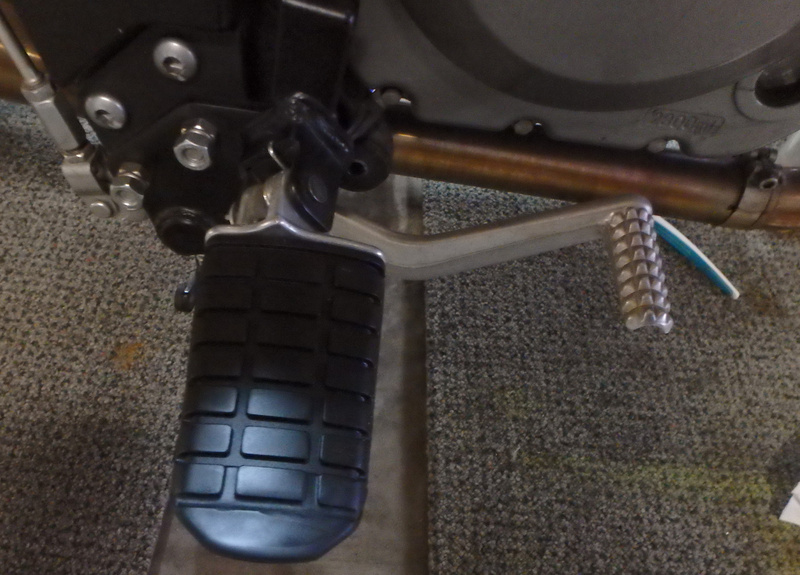 Love the springloaded brake pedal. 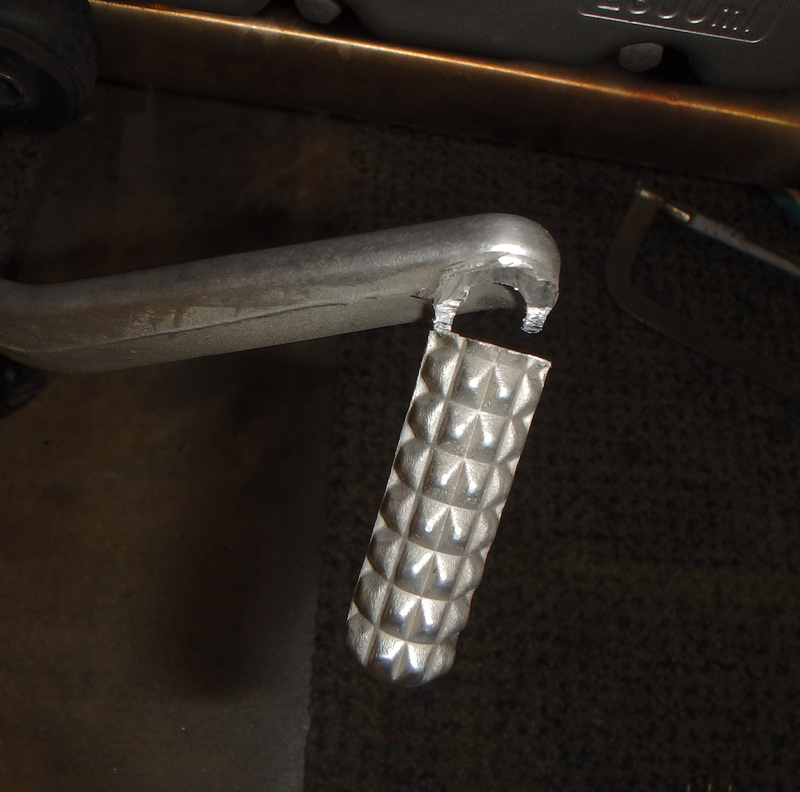 Could use something like this for the shifter too. Install one of these and you are guaranteed never to lay the bike over (on that side). DL1000K6 Two wheels good; four wheels bad. Correct. Same way I have never had a flat tire on my car since I started carrying an actual floor jack in the trunk. I've probably spent the cost of a new tire in gas hauling that thing around, but the jack supplied with the car is just wayyy too junky for my tastes. Mark, do you have a link?...only one I see on fleabay is $59.99. "You do your own thing in your own time"
Well crap, Motor........I cannot find the one on Ebay that I saw last week. I ordered mine from "OpenTip".....$21.95, but then they ripped me a new one with $6.00 shipping. When it arrived, it was in a $3.75 First Class Envelope.......I cannot recommend them.